This 'guy' is 1000% douchebag!!! 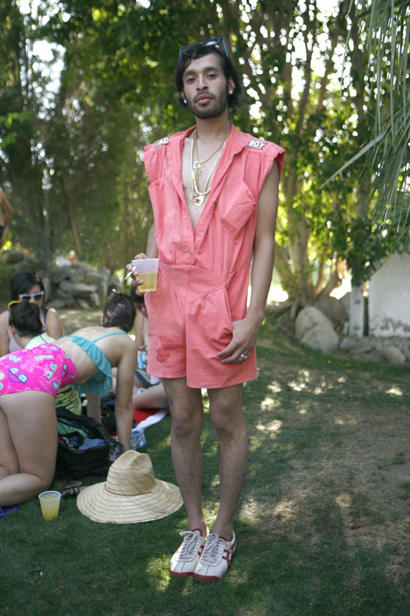 a romper on a man is a good idea, especially since i always find ones that are way too big. but the chains make the look creepy, and he needs dif. shoes. This is teh gayzorz. It looks like M.I.A. magically transformed into a man and decided to go for a day on the town. The only person who should wear a "romper" is is child, not a potential child molester. Plus, that wet spot on his romper is in an awkward area.